As demand for mechanical keyboards continues to grow, especially among the PC gaming fraternity, manufacturers in the main continue to lean heavily on well-known switch OEMs to provide reliable and consistent components. However this tends to introduce a 'one size fits all' mentality, putting barriers in front of peripheral manufacturers who want to tailor their keyboards to consumers with even more exacting requirements. A few - those with great technical expertise, a skilled design team, and large enough market share to justify the investment - have branched out to design their own switches. 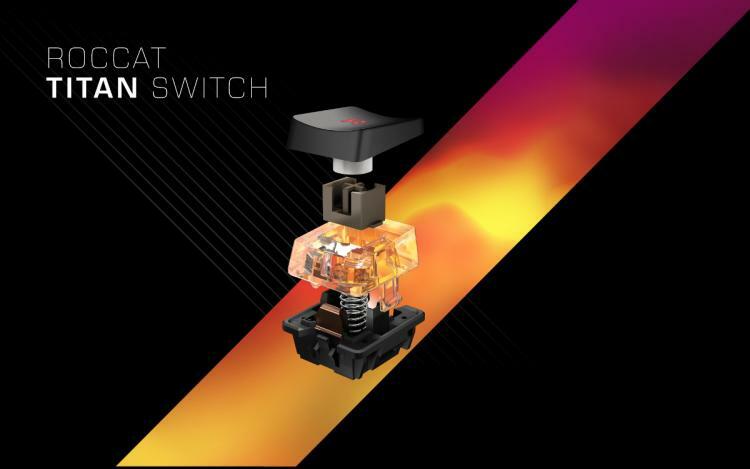 Today German peripheral manufacturer ROCCAT joins that elite group and launches the Titan Switch. 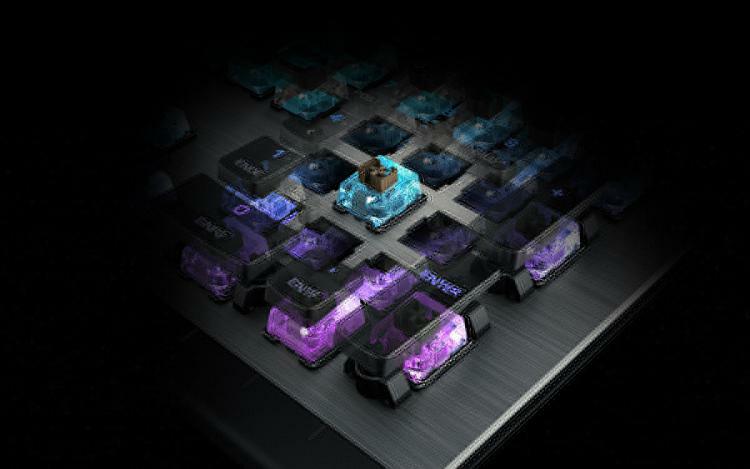 The Titan Switch has been designed in close cooperation with TTC, whose switch components ROCCAT have integrated into past keyboards such as the Suora. Its first release variant is the Titan Switch Tactile, designed to offer both fast actuation speed and a consistent tactile feedback to users with a preference for this switch type. In order to increase speed and responsiveness ROCCAT took a two-pronged approach. Firstly they reduced the actuation point - to 1.8mm from 2mm - shortening the travel distance before a keypress is registered. Secondly, they attacked the problem of 'switch bounce' by utilising high quality components and redeveloping the firmware to take advantage of a sharper actuation signal, reducing switch bounce times by 20%. While only adding up to fractions of a second, each fraction is critical in the competitive gaming realm. As a tactile switch, tight engineering tolerances are required to ensure that the feel remains constant across the keyboard and deep into its anticipated life span. ROCCAT also took the step of reinforcing the housing to eliminate wobble, giving it a reassuring solidity compared to some other mass market designs. Of course aesthetics also play a huge role in gaming culture. With that in mind ROCCAT have attempted something radically different with the Titan Switch - a transparent housing body. The keycap remains black with laser etched lettering, but just below it a transparent base allows the RGB LED lighting to shine around the key rather than just through and behind it. You're also able to see inside the switch as it actuates, if that sort of 'how it works' engineering chic fascinates you. Lighting is a major part of ROCCAT's existing product range, and the Titan Switch Tactile will be an excellent accompaniment to their AIMO-enabled peripheral range. Unfortunately we'll have to wait just a little longer before the first designs with the Titan Switch are unveiled. ROCCAT will be showcasing new keyboards (and more!) at Computex 2018 from June 5th to the 8th, at which time they'll be ready to show the world what they have up their sleeves. You won't want to miss it.